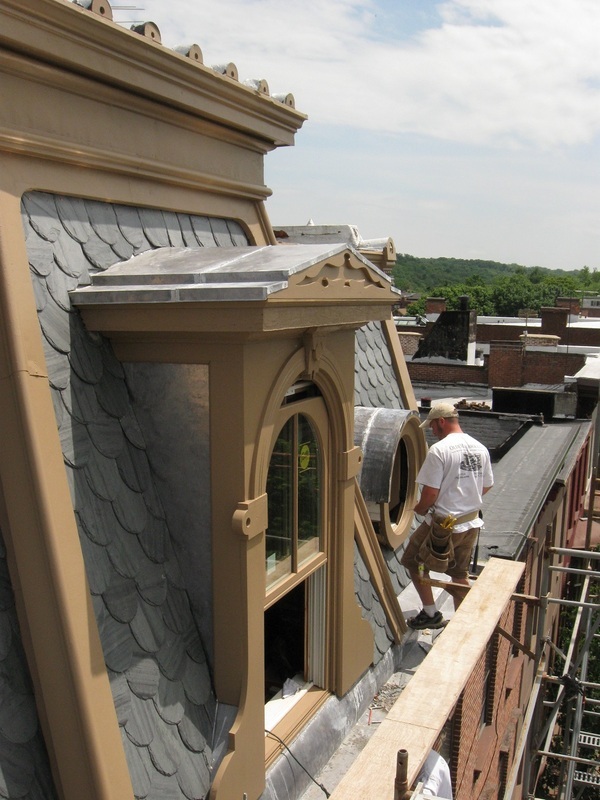 _Italianate row house with unusual 2nd Empire 4th floor addition gets a facelift from North River Restorations and friends. 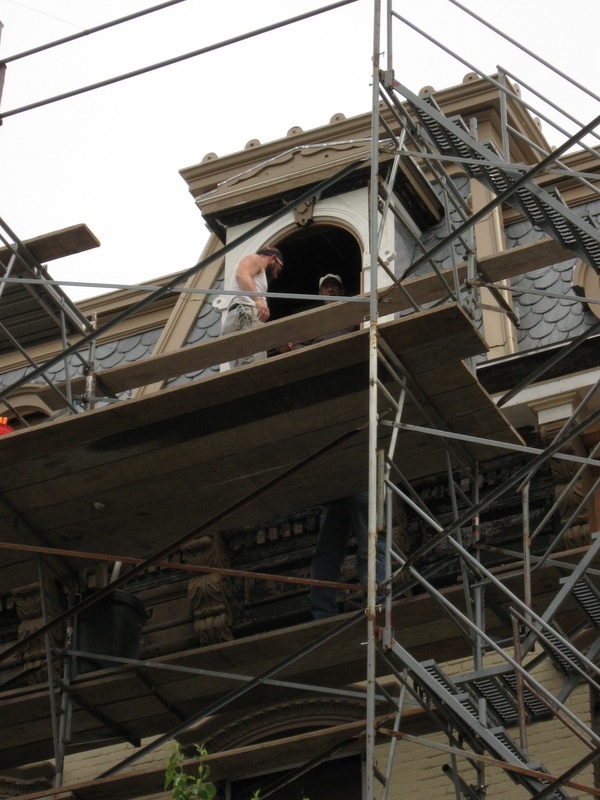 Third floor cornice and fourth floor trim were all severely deteriorated. 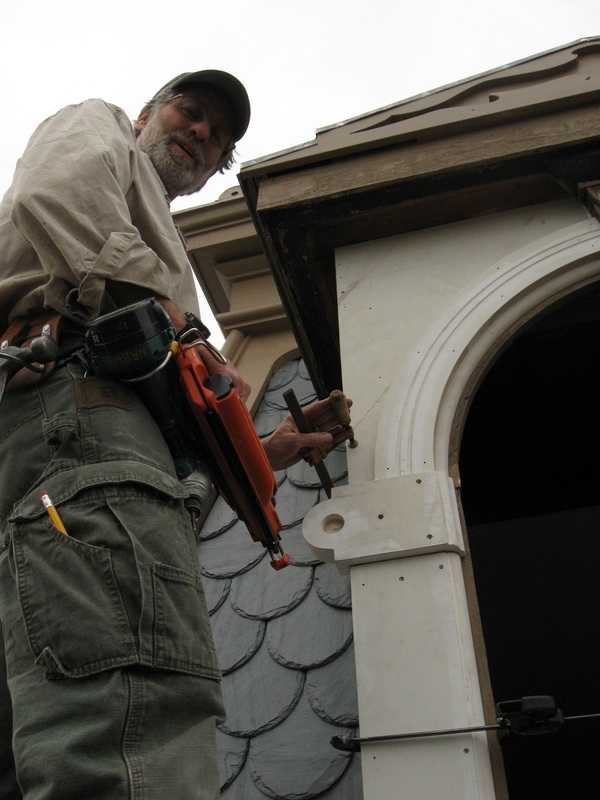 We replaced nearly all the 4th floor trim and the arch-top dormers, and installed a custom arch-top insulated window. 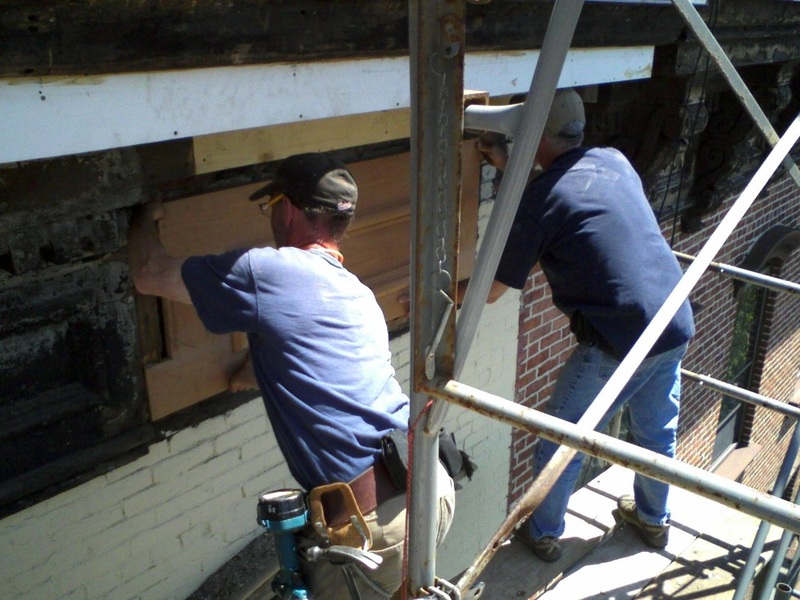 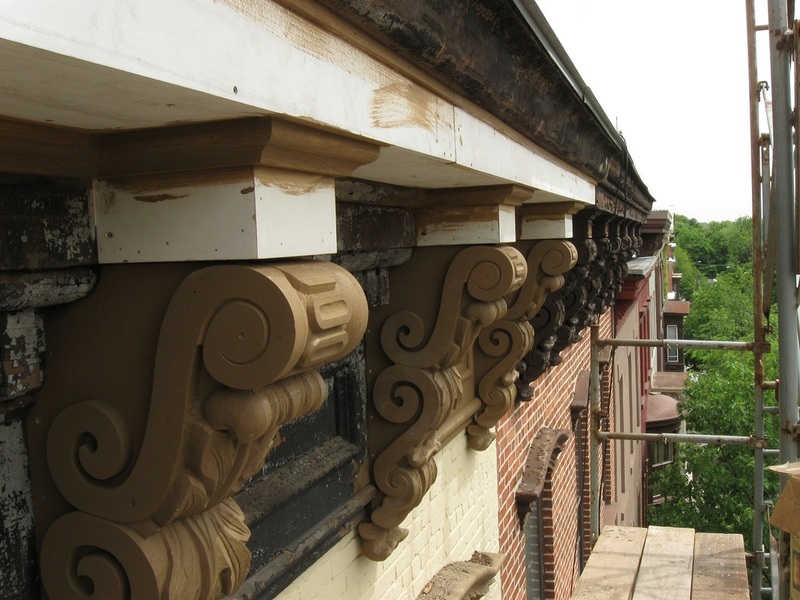 Six new cornice brackets and lot's of cornice trim, new roofing and Philadelphia gutter, and new paint, and this building is ready for the next 100 years.